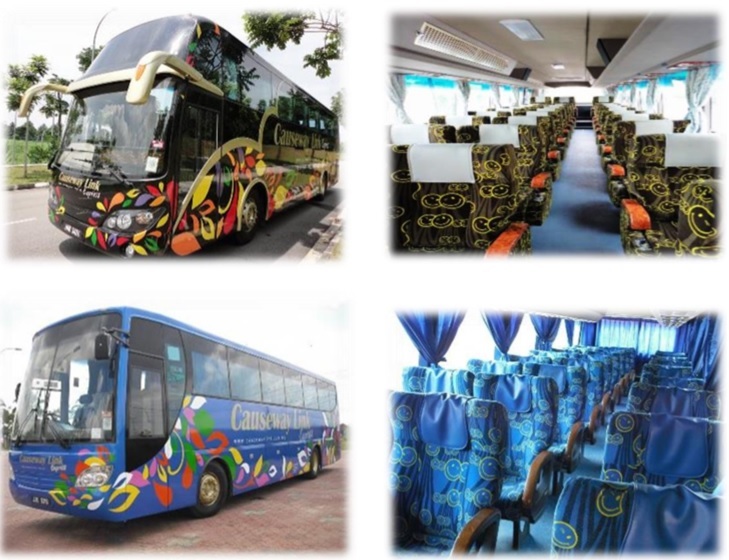 Handal Indah, also known as a Causeway Link is one of the largest public bus company provider in Johor Bahru. The distinctive Smiling Bus started with operating a number of routes covering some of the outskirts to the heart of JB Town and Larkin Terminal. In recent years, they are expanding fast to the express bus industry. 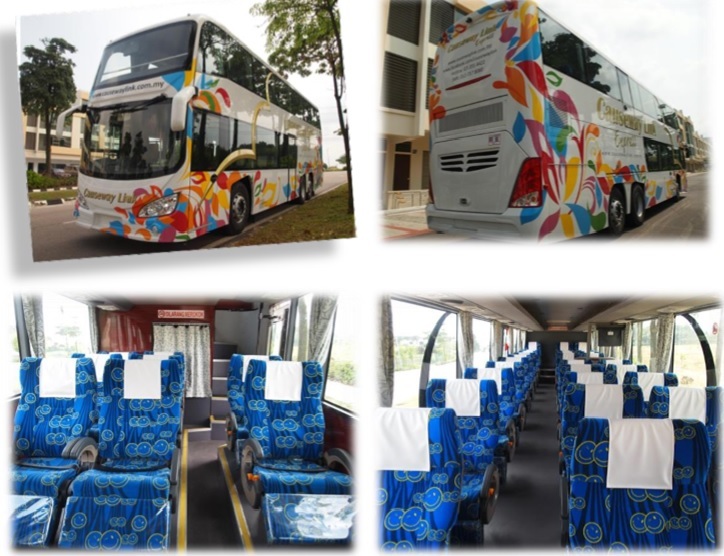 Buses are innovatively designed and manufactured by their own technical team. Buses are modern, clean and comfortable. One of their famous route is JB to KL (Johor Bahru to Kuala Lumpur) and KL to JB (Kuala Lumpur to Johor Bahru). 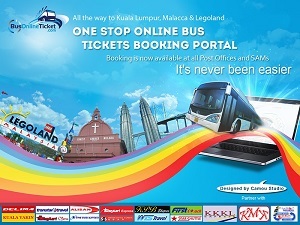 Other newly added service from Causeway Link are JB to Melaka, KL to Ipoh, Melaka to KL, as well as the returned services.